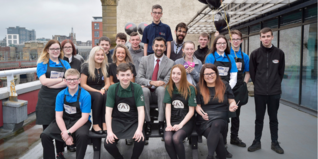 Young people in Glasgow are to be given specialist mental health support after an initiative by The Prince’s Trust Scotland and SAMH (Scottish Association for Mental Health) was awarded essential funding. 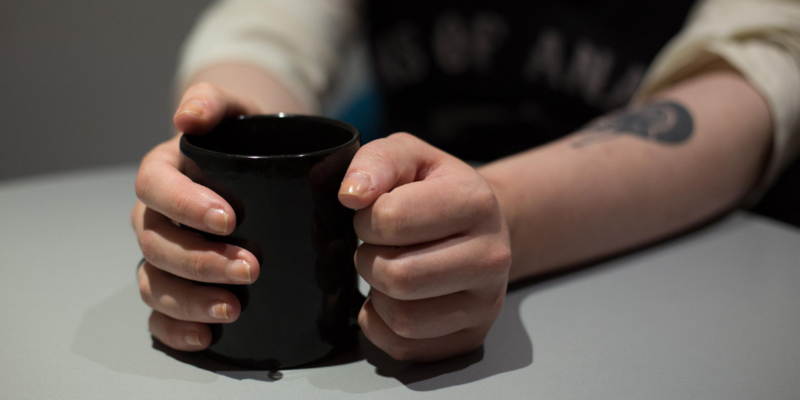 The ‘Mind their Gap’ project has been awarded over £370,000 from The National Lottery Community Fund to help the charities tackle the increasing challenge of poor mental health amongst young people in Scotland. The recent 2019 Prince’s Trust eBay Youth Index highlighted the prevalence of low mental health in young people across Scotland with 41% of those aged 16-25 reporting feeling unhappy about their mental health and 80% feeling increasingly stressed, depressed or in a bad mood. The National Lottery Award signals the start of a three year pilot initiative between the charities which aims to improve the mental wellbeing and resilience of over 600 participants through improved personal development activities, a specialist wellbeing service and by upskilling 60 Prince’s Trust Scotland staff in Glasgow. Our recent Youth Index results demonstrate that young people in this country are very worried about their futures and their mental health is suffering at an alarming rate. Good mental health is vital to a young person’s success and their ability to live, learn and earn. Therefore, it’s essential that we work collaboratively with partners like SAMH to create services that build resilience in young people to overcome the issues and gain the confidence and the skills to succeed in the workforce or further education. We are delighted to be working in partnership with The Princes Trust Scotland on this exciting new initiative. We know how a mental health problem can affect everything in our lives, so improving the resilience, self-esteem and the wellbeing of all our young people is hugely important. The funding will enable The Prince’s Trust to work together with SAMH to improve personal development activities aimed at building young people’s coping skills and emotional resilience needed to sustain healthier and more stable lives. This preventative approach will equip young people with skills, knowledge and the tools so they can better manage their mental health and avoid escalation. A specialist well-being service offering one-to-one support to those experiencing mild and moderate mental health issues will also be implemented allowing young people to access the help they need whilst improving their self-management skills to support their recovery. Furthermore the funding will allow bespoke training designed and delivered by SAMH to 60 Prince’s Trust Scotland staff allowing them to deliver support to young people which better meets their needs and/or to signpost them to more specialist support. I am delighted that The Prince’s Trust Scotland and SAMH have been successful in securing a grant from The National Lottery Community Fund. The award will make a big difference where it is needed most and I wish both organisations every success as it goes on to develop and expand its project for the benefit of their local community.